Jack-o’-lanterns are traditionally carved from Rutabaga (swede) or pumpkin and are often associated with Halloween. The tradition of lantern carving is thought to originate in Britain, being carved from swede, turnip, mangelwurzel or commonly in Scotland, thick cabbage stalks (kail-runt torches). 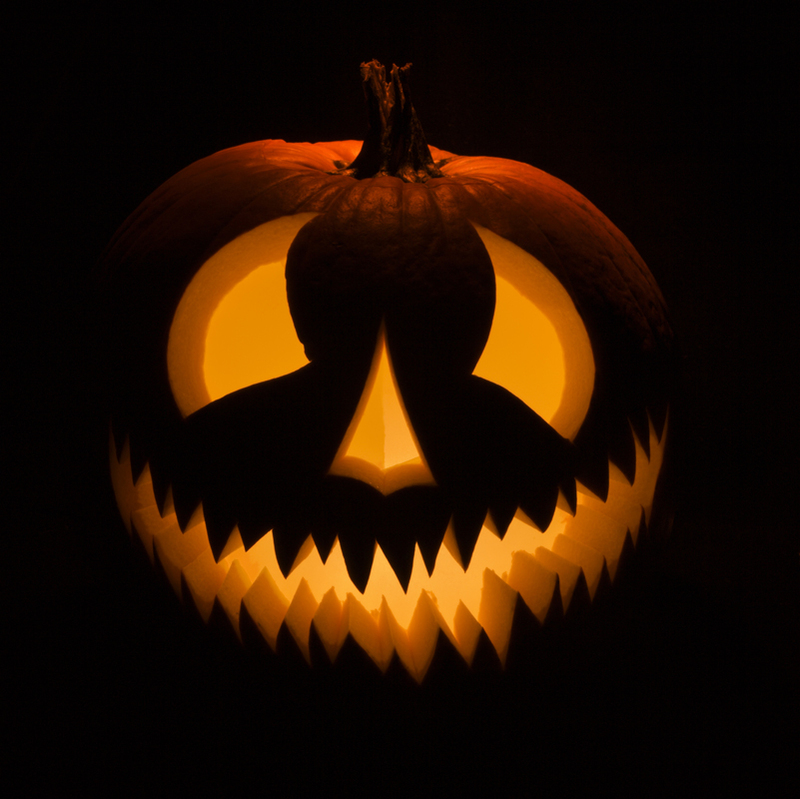 The term Jack-O’-Lantern means man with lantern and became a colloquial term for a night watchman. There are a number of versions of how the Jack O’ Lantern got it’s name, but the two most popular are after the phenomenon of strange flickering lights which appear over peat bogs, called Ignis Fatuus, Will-o’-the-wisp or in Newfoundland Jacky Lantern or Jack the lantern. The other story originates from Ireland and a rather unsavoury character called Stingy Jack who tricked the devil into never taking his soul. When Jack died, he could not go to heaven or to hell and was left in the dark to roam. When he asked the devil how could he see were to go, the devil tossed him an everlasting burning ember from the flames of hell. Jack carved out a swede and placed the ember inside. He was doomed to wander the earth searching for a resting place. He became know as Jack of the lantern. All Hallows’ Eve as we know it, on the 31st October has it’s history firmly rooted in Pagan belief. The festival of Samhain (pronounced Sow-inn) celebrates the end of the Pagan summer, it’s harvest and the start of a new year. Thought to be the time when the veil between the worlds of the dead and living is at it’s thinnest when spirits can come and go freely. However not all spirits are considered good. The festival starts at sunset on 31st October, large fires are lit and food and drink placed outside doorways to appease the roaming spirits who might play tricks on the family and ruin crops. British immigrants to America in the 1800’s found the local pumpkin a good replacement for the turnip or Rutabaga (swede). Easily available at harvest time, the pumpkin had long played it’s part in American harvest thanksgiving festivities but the British found it larger and much easier to carve. In America, Halloween is now celebrated to a greater degree than in the UK. Regardless of the type of vegetable used, the top is removed and the centre hollowed out. A scary, comical face or other design is carved into the shell through which a light placed inside can shine.